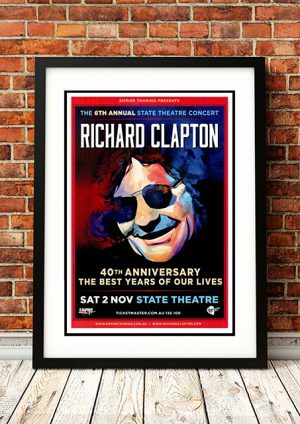 Classic Richard Clapton Band Concert Posters and Memorabilia! Buy Online Now! Australian singer/songwriter Richard Clapton played with several bands during the late ’60s and ’70s as he traveled across Europe before returning to Australia in 1972 to begin his solo career. His debut single, “Last Train to Marseilles,” released in October 1972, was not commercially successful and he joined the jazz-rock band Sun for a six-week stint. His debut album, Prussian Blue, was released in November 1973, but his first chart success was with the single “Girls on the Avenue,” which reached number two nationally in March 1975. 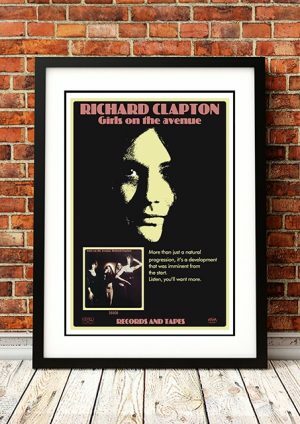 He released the Girls on the Avenue album followed by the album Main Street Jive in July 1976. A European tour followed at the end of the year. Clapton’s contribution to the 1977 Highway One soundtrack album, “Capricorn Dancer,” peaked at number 20. Clapton’s third album, Goodbye Tiger, was released in August 1977 and is considered one of his finest works. It peaked at number five nationally during November. The next year was spent touring and recording in Los Angeles. Two tracks from the American sessions, “Steppin’ Across the Line” and “When the Heat’s Off,” appeared on the compilation album Past Hits and Previews, released in November 1978. 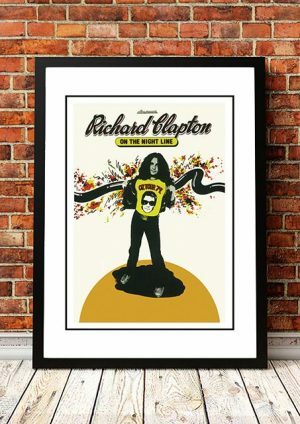 Clapton’s American-recorded album Hearts on the Nightline peaked at number 17 and kicked off a national tour. Dark Spaces was released in 1980 and was dedicated to his rhythm guitarist, Andrew Durant, who died in June. Clapton sang three tracks on the Andrew Durant Memorial Concert album of 1981. A new record deal with WEA in 1982 produced The Great Escape, which peaked at number seven in March. The single, “I Am an Island,” peaked at number 20 while the compilation album, The Very Best of Richard Clapton, peaked at number 15 during the same time. In 1983, Clapton joined the Party Boys for a short time and appeared on their Greatest Hits (of Other People) album. In 1984, Clapton released his next solo album, Solidarity, and again toured the country. Glory Road followed in 1987, produced by Jon Farriss in return for Clapton’s work on Underneath the Colours. 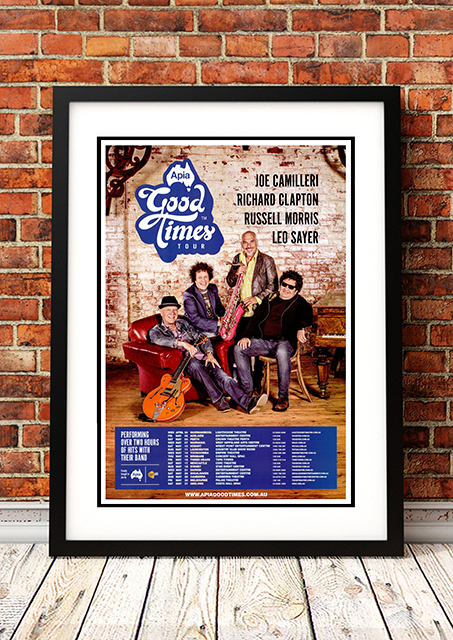 We stock some awesome Richard Clapton Band Concert Posters.